This is the home of two twin brothers in São Paulo. 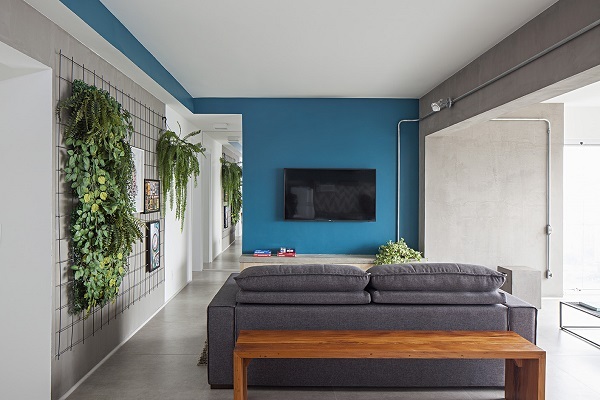 The two engineers asked Casa 100 Arquitetura to remodel the apartment in the neighbourhood of Brooklin to provide a comfortable home with ample spaces to also entertain friends. With this brief in mind the architects expanded the social area, and pushed it outwards to integrate the balcony into the living space. 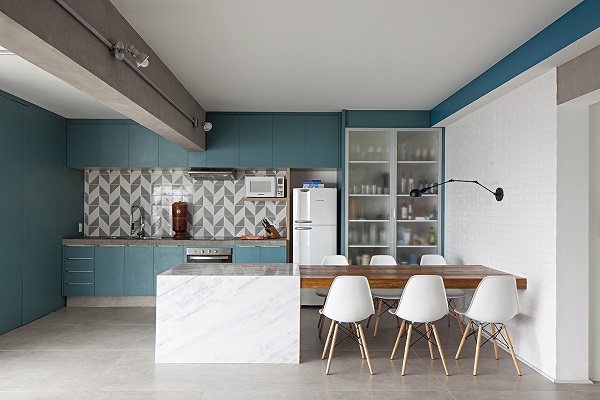 The open kitchen has been fitted with cabinets that hold utensils and food, and in front of it, an office-designed Piguês marble island serves as a base for cooking and also as a support for the wooden demolition base transformed into a dining table. Instead of placing pictures on the wall, the brothers wanted a decorative element that was dynamic. "We suggested the use of a pop mesh, industrial looking, so that with little hooks they could create the displays they wanted to decorate the space," say the architects. The structure works like a blank canvas that can receive pendant plants and compose a vertical garden in the room. 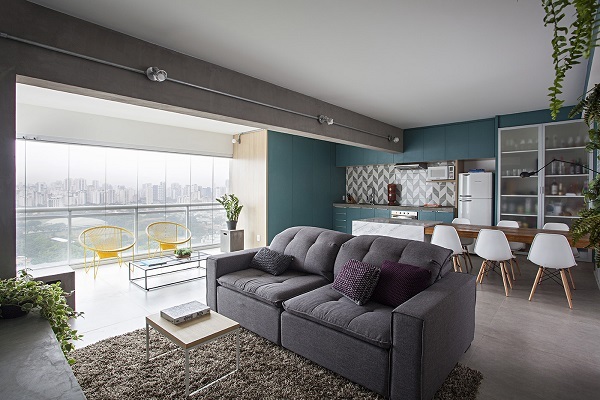 To enhance the sense of spaciousness, the same porcelain flooring was used throughout the apartment. 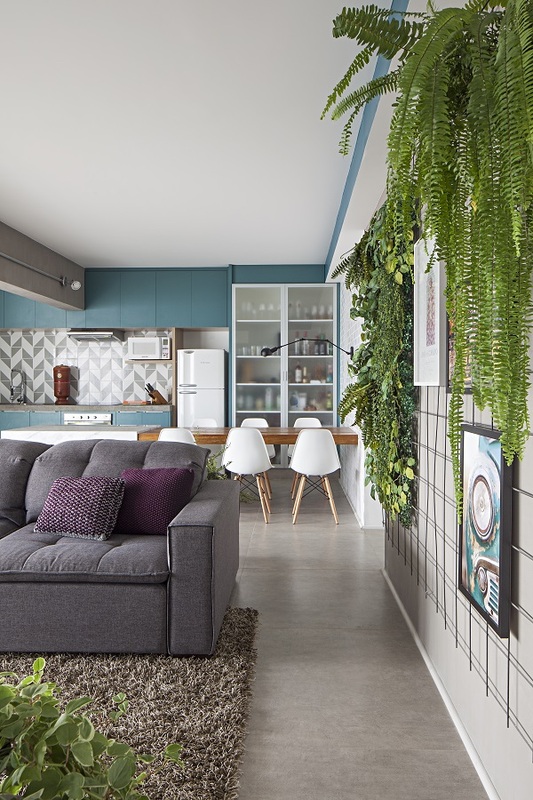 On the walls, the apparent concrete alternates with the strong turquoise color that highlights the kitchen area and the area of the TV.